Hello! 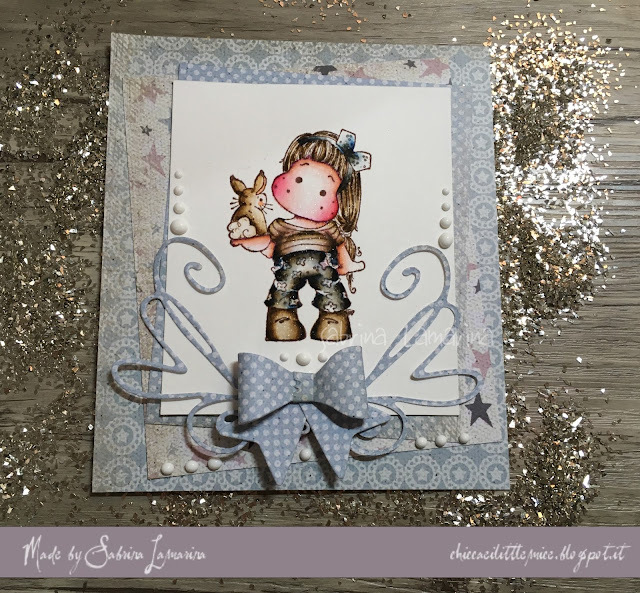 Today Sabrina is here today with her new card designed to send Best Wishes to her child who turns 11 today!! To make the greeting card for Federico (alias Chicco), I used Le Cirque - Edwin Circus Manager and coloured with Prismacolor pencils! Now I will show you the photos of the colouring step by step. 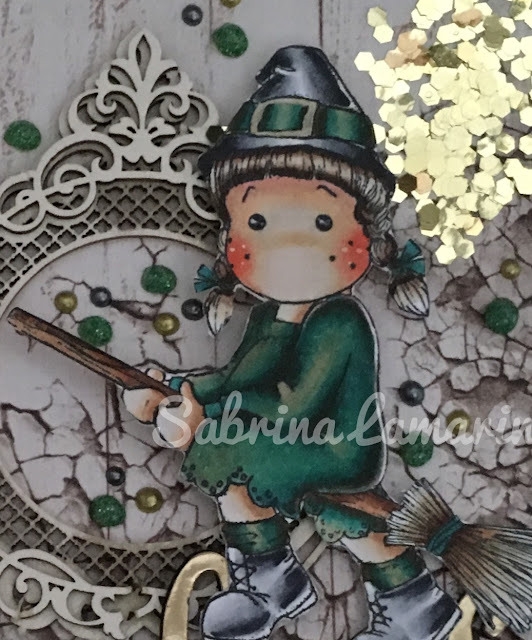 I stamped it onto White Stamping Card (300gsm) - A4/5 sheets. Once the colouring was finished I created the card! Under the stamp I used Crafter's Companion Neenah Desert Storm A4 and finally, as a base one of the magnificent papers in the Laserowe Love set - Vintage Gentleman Complete collection! I finished getting messy using crystal drops. The greeting card for my baby is ready!! BLOG HOP – THE WINNERS! 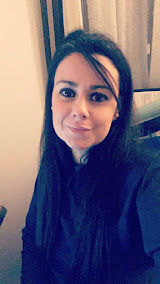 My name is Sabrina, I live in Italy with my husband, my two children, a kitten and a little chihuahua. I love coloring, creating projects in 3D, decorating my planners with the stamps I love most ... the wonderful Magnolia! I am mainly a card maker, but I love creativity at 360 degrees. In my life I am a full-time housewife and mother and I dedicate my free time to coloring with distress, Tombow and Prismacolor. Coloring relaxes me and makes me fly towards a wonderful way made of colors !! !